Fred Glass is the Head Golf Professional of Neshanic Valley Golf Course in Branchburg, New Jersey. He is also the Director of Instruction for the Somerset County Park Commission in Somerset County, New Jersey. He has held this position since March 2004. Prior to this position, Fred was the First Assistant Golf Professional at Raritan Valley Country Club (RVCC) in Bridgewater, New Jersey. 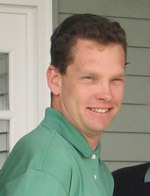 Fred started his professional golf career at RVCC in 1995. Fred has extensive experience teaching players of all levels and ages, in both a group environment and through individual instruction. Throughout his career, Fred has also organized and executed numerous golf tournaments and outings for varied companies and organizations. Fred attended Flagler College in St. Augustine, Florida where he earned a B.A. in Business Administration in 1995. While attending Flagler, he was named the Most Valuable Player for the golf team his senior year.